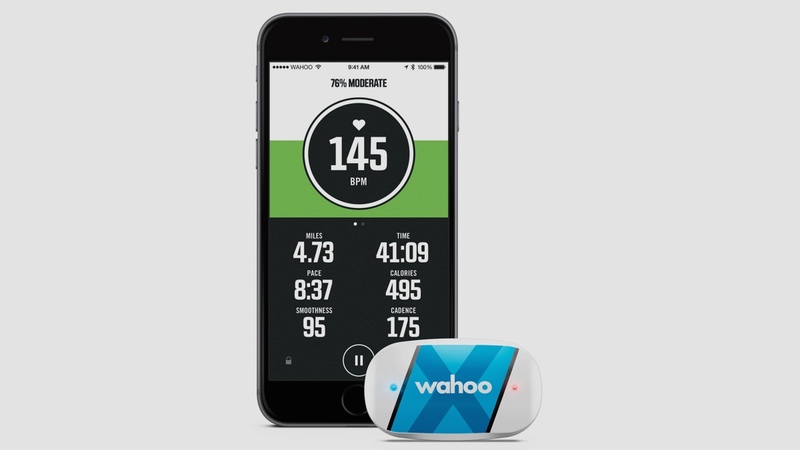 Wahoo has released a heart rate training app for the iPhone and Apple Watch designed to get make its Tickr HRM chest straps more useful. The free app, RunFit, is designed to help runners and gym goers to use their heart rate stats during exercise by providing real time training advice. When used with a heart rate monitor such as a Tickr chest strap, the app can track heart rate, distance, time, pace, calories burned, cadence and running smoothness. After a run or cardio workout, you will be able to review your data including how long you spent in each of the five heart rate zones. RunFit will prompt users after each exercise, measuring heart rate, timing the effort. If used with the Tickr X at the gym, it can also count reps and track cadence on spin bikes or elliptical machines. For runners, there's three post-run strength exercises available in the app including the 7 Minute Workout. Chip Hawkins, Wahoo's CEO, admitted that runners have a lot of choice when it comes to wearables and apps but said that: "They don't necessarily help the user understand the data or tell him/her what to do with that data. We developed RunFit to help users exercise in the right heart rate zones in order to help them reach their fitness goals as well as highlight the importance of strength exercises so users can improve their running performance." We were impressed by the Tickr X when we tested it, thanks to its accurate tracking for runners and cyclists as well as an impressive app. So it's good to see Wahoo is still supporting and improving its software. The RunFit app is only available on the App Store at the moment, but as with Wahoo's other fitness apps, it's likely to find its way over to Android. Within the RunFit app, you'll be able to purchase a Tickr, Tickr Run or Tickr X directly using Apple Pay but the RunFit app will also work with other Bluetooth heart rate monitors.